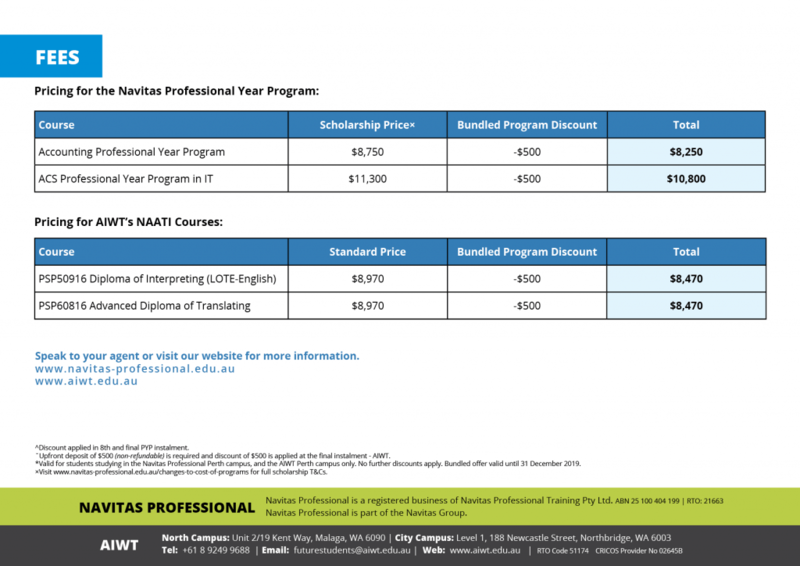 Navitas Professional and AIWT are offering a bundled offer where if you study the Navitas Professional Year Program and either the Diploma of Interpreting or the Advanced Diploma of Translating with AIWT, you will save $500 on each program! 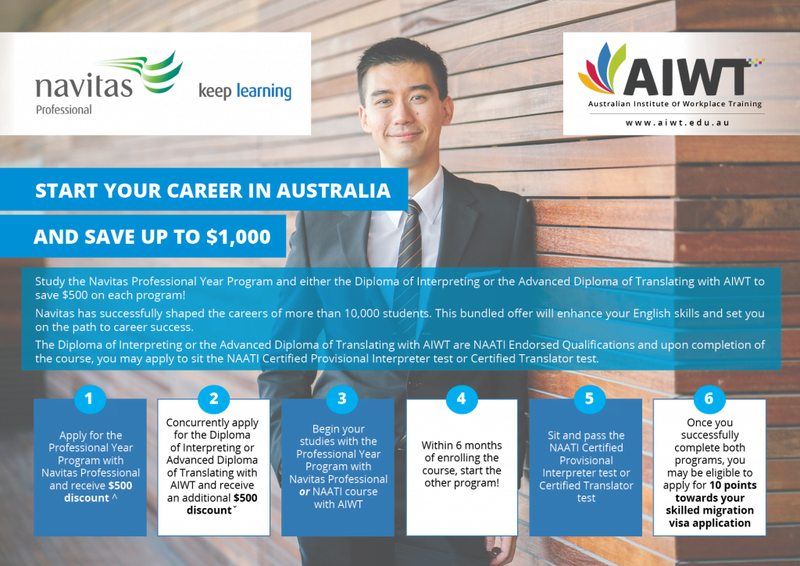 Once you successfully complete both programs, you may be eligible to apply for 10 points towards your skilled migration visa application! Call 9249 9688 for more information.